Did you miss out on our March competition for our Waesmeer social that went to our loyal customer Sam Derhore? No need to cry, we got a new one up for April (in fact ending May 10th, 2019) for Heylakker social in the weekend of June 1st, 2019. 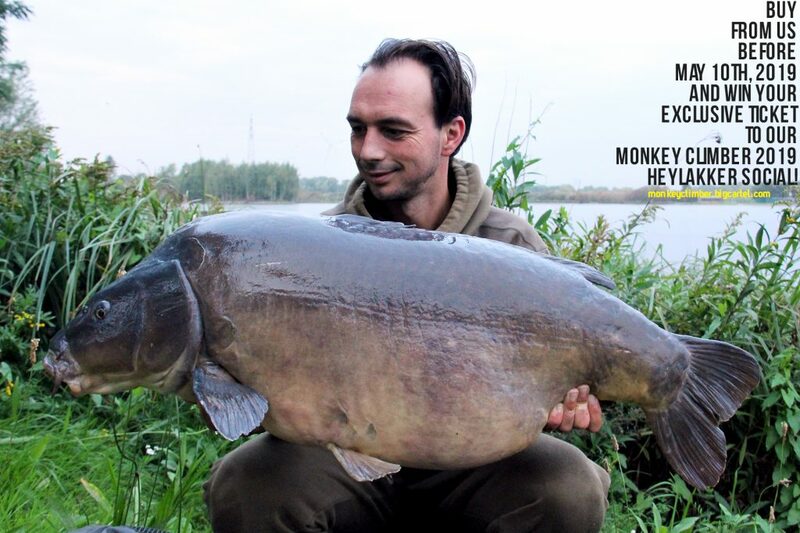 Heylakker, as you will know, is one of Belgium's most elusive big fish syndicates with a mega long waiting list. Here's your one time chance to participate. Instead of doing the usual like and share, we’ve again decided to give one place for the weekend away to our loyal customers: everyone who orders anything (big or small) from our Bigcartel from now on until May 10th, 2019 enters the competition automatically (if you buy more than one time in this period, you enter as many times as you bought from us), the winner will be drawn randomly on May 11th, 2019. Spread the word & be lucky!